Loved this whole new take on the DCU ladies. They are seriously kicking some a**. Plus the retro 40’s outfits rock. 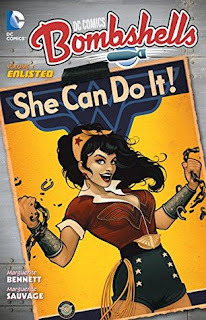 This story place during World War II and focuses on our lady heroes fighting the good fight overseas and keeping things turning on the home fronts.